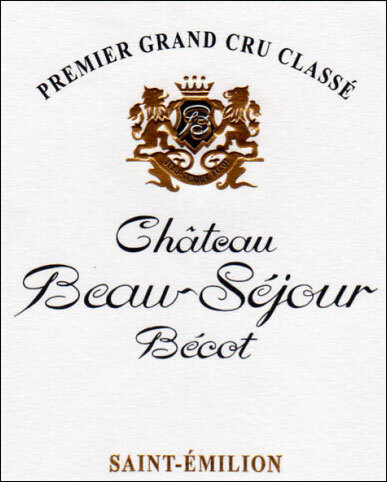 A beautiful wine from Beau-Séjour Bécot, the color of the 2005 is an opaque purple and the wine is loaded with notes of cedar wood, Asian spice, blackberry and cassis fruit. Full-bodied and tannic, but broad, huge, and massive, this wine is still an infant and needs another 7-10 years of cellaring. This is a 40- to 50-year wine from the Bécot family. Drink 2025-2075. Offers aromas of blackberry, coffee and tar, with a full body, silky tannins and a blackberry, mineral and light vanilla aftertaste. Balanced, refined and pretty. Best after 2014. Good ruby-red. Very ripe but lively aromas of kirsch, licorice, bitter chocolate, nuts and violet. Dense and sweet but vibrant, with a medicinal reserve and terrific grip to the superripe fruit and bitter chocolate flavors. Wonderfully rich, pliant wine with late-arriving tannins and a terrific spine for a slow evolution in bottle. Much more tightly wound today than the Becot family's La Gomerie, but there's plenty of fat fruit lurking.